Today’s archers face important decisions that are tough to make when choosing which arrow is right for their bow. In the past we used to look at a chart that used the “one size fits all” mentality. You would go to the chart, find your draw length, find your draw weight, and look at what shaft it suggested. This is not precise enough for today’s bows. Two different bows may have the same draw length and draw weight but require a totally differently spined arrow. Arrows can be cut at different lengths which affect the spine too, but what length results in the necessary spine? This is where software like OnTarget2 makes life simple. Although a little intimidating at first, this software has it all. With a little practice you’ll be able to choose your bow and arrows from the included database, plug in your personal numbers (draw length, draw weight, etc.) and view the results. The process eliminates guess work and saves time and money with trial and error setups. 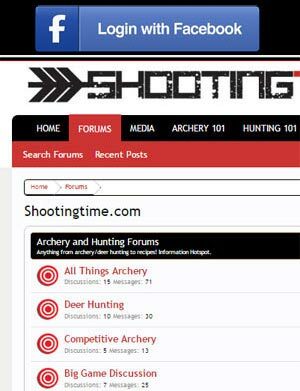 In addition, you can check ballistic information, print archery sight tapes, and print multi pin gap references. You can save input information for later recall by using the “save user info” feature. 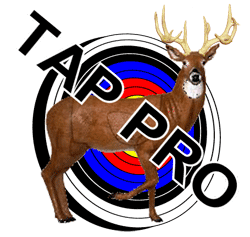 With arrows costing what they do today, programs like OnTarget 2 are a necessity. We recommend this product and give OnTarget 2 an 8 of 10 star rating.